Would you like to enjoy a strong, solid, unshakable sense of self-confidence? 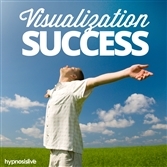 To believe in yourself and your abilities totally, utterly, 100%? Confidence is crucial in almost every area of life. 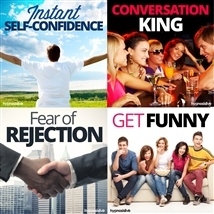 Whether you want to strike up a conversation, ask someone out on a date, give a presentation or sell yourself at an interview, you need confidence to do it well. 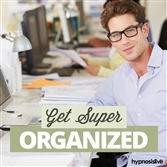 Without it, you’re likely to miss out on a whole heap of opportunities that could bring you huge rewards. 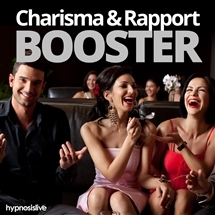 It’s time to generate genuine confidence from within – with help from hypnosis. 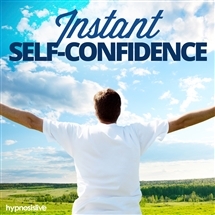 The Instant Self-Confidence hypnosis session will help you tap into the amazing reservoir of confidence that lies deep inside you! 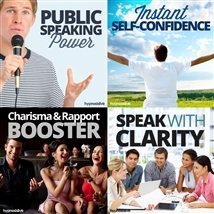 As you listen, powerful hypnosis and NLP techniques will subtly reprogram your thinking patterns, helping to unveil a more impressive, solid, self-assured you. 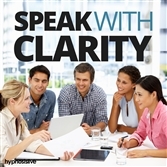 You’ll reframe the way you see yourself, giving you the strength and conviction to talk to anyone, take on anything, and know that you’ll always perform at your absolute best. 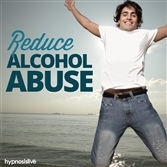 Download the Instant Self-Confidence hypnosis session now to ensure that nothing will ever hold you back – ever again.